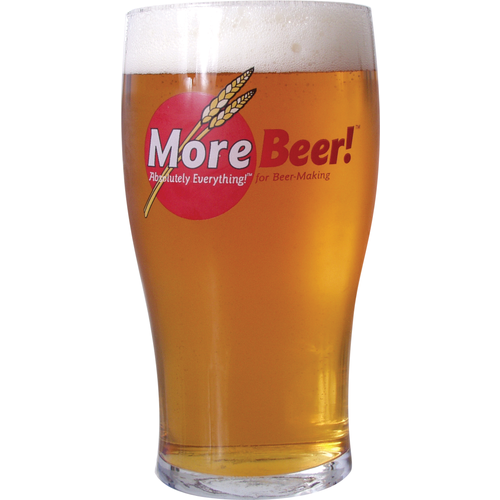 (Makes 5 gallons) An IPA is like a Pale Ale on steroids - take a pale ale and add more malt, more grain, and more hops. Our version, with 12 lbs of 2-row and 5.5 oz of Magnum and Cascade hops, is big. IPA is drinkable right away but gets better with 1-2 months of aging, as the alcohol mellows and the different flavors mix together. It looked interesting and I have not brewed an IPA in a while...so sad I haven't. Thought I would give this a try. A friend loves IPA, but I only like them so hoping this is mellow enough for me to want more than 1.
does this kit come with the hops also? BEST ANSWER: Yes it does. The only thing this kit does not come with is yeast... and water. Yes, it comes with hops. It does not come with yeast. 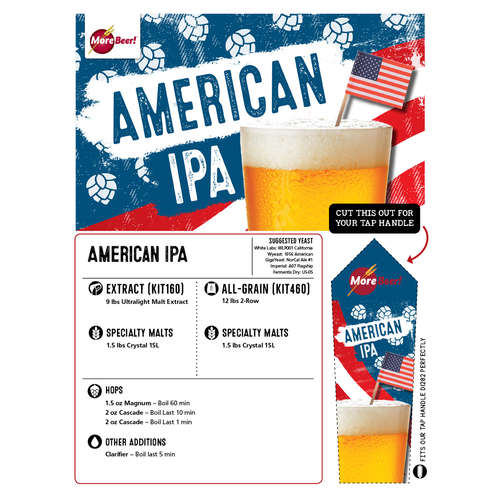 This kit has all you need for an classic American IPA. I have a tendency to not leave well enough alone so I added a couple of ounces of Hop Hash at flameout and it turned out great. Here is the true testimony. 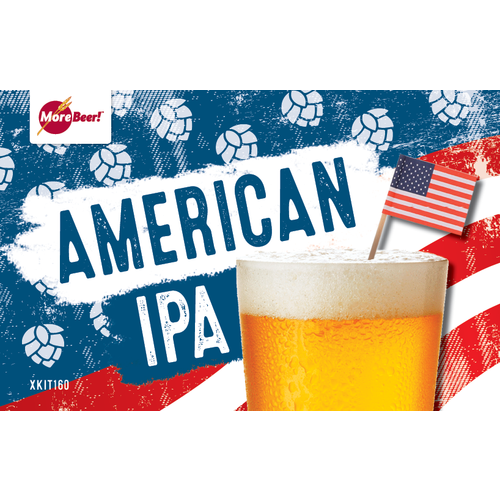 My wife hates beer but she was out of her prosecco the other night and she grabbed a cold bottle of my freshly brewed American IPA. She loved it and is drinking my beer (which I guess I can live with). I brewed exactly per the instructions, however, I let it sit for about 4 weeks in the bucket before bottling, then drank my first 12 days later. I couldn't wait any longer. It tastes great. I didn't measure the alcohol content but I can attest that it does carry a decent kick. This is the kit that started my obsession with IPA's. I brewed this kit per recipe many times and loved it.